eBay sellers are constantly finessing their businesses and asking themselves how they can improve sales. Selling on eBay is more than just snapping a few photos and putting together a short description. Many details are involved in improving SEO (search engine optimization), writing friendly and accommodating customer policies, and understanding online retailing. With millions of items listed each day, sellers take extra steps to outperform the competition. Here are a few ways to fine-tune your eBay listings and account to help rise to the top of search so that buyers can find your items, and then how to close the sale once buyers find your items. SEO means search engine optimization, and eBay's search engine, Cassini, has a specific algorithm. Certain aspects of a listing rank higher in search, while others push listings down. 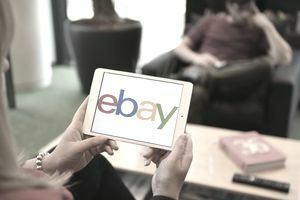 For example, eBay rewards a 30-day return policy by placing those listings higher in a search, because eBay sees this criterion as customer-friendly and good service. "Listing Description: Include at least 200 words of visible copy in your listing description, with the most important keyword phrases mentioned at the beginning and end. Remember to employ other content best practices, such as the frequent use of keywords where relevant and formatting (e.g., bolding, using font size on important titles and keywords)." eBay estimates 50 percent of all sales take place on mobile devices. That includes mobile phones, iPads, and tablets. Mobile devices display information differently than a desktop or laptop computer. One of the easiest ways to increase eBay sales on mobile is to optimize photos. Crop photos in tightly so that the product takes up most of the space, edge to edge, in the photo. When listing lots, select the best photo of one item in the lot as the gallery photo. Buyers may have difficulty viewing a photo of 30 articles of children's clothing. Grab the buyer's attention with a clean, uncluttered photo for the gallery, then include more photos in the listing. eBay offers 12 free photos, so there is no reason not to use all 12 when listing lots. eBay has provided a tool to check to see if listings are mobile friendly. It specifically checks for code that makes the listing load slowly or that causes the listing to display improperly. Nothing aggravates a customer more than finding the item they want and then not being able to see the photos or read more information. Some listings contain text that causes the buyer to have to scroll horizontally, which is a hassle. Check your listings on the eBay Mobile Friendly test and make sure everything is compliant. Make sure you use a font size of 12 or larger and arrange text in short phrases or bullet points rather than paragraph format. Phrases and bullets are easier to read on mobile. White space between text is easier on the eye and less overwhelming to read. Look at how major retailers format text on their mobile sites. Companies like LL Bean, Nordstrom, and Walmart have million-dollar advertising and IT budgets; they know what they are doing. Follow their example for formatting listings. You have done all the work to get a buyer to your listing. Make sure you don't lose that person by barking out return policies like a drill sergeant. Write all policies with a friendly, accommodating attitude. Remember the competition is only a click away. Your job is to keep the buyer's attention, gain trust, and close the sale. For example, instead of saying, "We only ship on Tuesdays and Fridays," it's better to say, "Due to our full-time job schedule, we ship once a week. If you need the item sooner, please contact us, and we will make our best effort to accommodate your request." Attitude is everything, especially when all that is between you and the buyer is a computer screen or smartphone. Buyers don't want to hear what you won't do, only what you will do. Don't give buyers a reason to click away because they don't like your attitude. Internet shopping is different than in-person retail shopping. The buyer can't see, touch, or examine the item up close. They can't try on clothing or shoes. They can't feel the fabric or gauge how heavy something is. Use photos and words to describe the item in detail and accuracy. Take photos like there is no description, and describe as if there are no photos. Always include measurements and show all sides of three-dimensional items. Take photos of the box or the retail tags if that applies. Explain textures of items and include materials that the item is made from. Anticipate what the buyer may ask and include that information in the listing. Part of this comes with experience. As buyers ask you the same questions over and over again, you will understand what details to put in the listing. eBay is cyclical, and sometimes sales are just slow, the same as in retail. Keep listing, and the buyers will come. And once the buyers reach your listing, treat them like gold. Updated by Suzanne A. Wells on October 21, 2017.